Originally formed from the West End cast of the Broadway musical “Beatlemania”, The Bootleg Beatles’ career began at a student’s ball in Tiverton, Devon on March 26th 1980. Giving themselves just six months to make or break it as a tribute band, The Bootleg Beatles signed up to the late Brian Epstein’s NEMS agency. The band’s calendar slowly filled with a mix of college balls and tough tours of the Working Men’s Clubs of the North of England and Scotland. Cutting to 1982, the now firmly established Bootleg Beatles were offered a six-week tour of The U.S.S.R., becoming the first western rock group ever to tour the Soviet Union. Almost true Beatle-like scenes of hysteria greeted the Bootleg’s sold out concerts in Moscow and Leningrad. The world beckoned the group as they toured India, The Middle East, The Far East (playing to 18,000 fans at the Araneta Coliseum, Philippines) and in 1984 – the USA. Over the years The Bootleg Beatles have performed in front of millions of people including such notable luminaries as Sir Paul McCartney, George Harrison, George Martin and Her Majesty, The Queen. Of all the venues they have played perhaps none (aside from Buckingham Palace!) was more auspicious than their appearance on the rooftop of the Apple Building at 3, Savile Row, London. 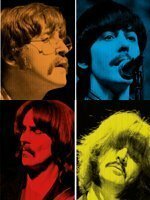 On the frosty morning of 30th January 1999, The Bootleg Beatles performance commemorated the Fab Fours’ farewell gig precisely 30 years ago to the day, the event transmitted on news channels across the globe. Over 30 years since forming, The Bootleg Beatles have set the standard for all those hundreds of ‘tribute bands’ who have followed in their footsteps as they continue to keep the spirit and magic of the most significant pop group the world has ever seen well and truly alive.